Running a Small to Medium Enterprise (SME) can often involve putting your own finances at risk. The ongoing viability of a business, and its value, can be severely impacted if a business owner or a key employee dies or is unable to work due to illness. Insurance cover can often be used to help protect a business in these situations. Business expense insurance is designed to help a business continue operating if the insured person is unable to work due to temporary illness or injury. This type of insurance may be appropriate for sole traders or small partnerships, and may also be available if the business is run through a company. The insurance will usually cover up to 100% of eligible business expenses in the event the insured person is unable to work due to illness or injury. Not all expenses are covered so it is important to check the wording before taking out a policy. Expenses that are generally covered include rent or lease payments, interest costs, accountant’s fees, telephone, electricity, etc. In the event that the business needs to be sold because the insured person is unable to return to work, business expense insurance can help the business retain its value until the sale date. 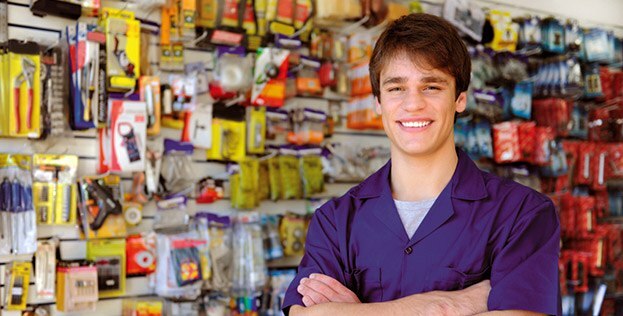 Premiums for business expense insurance are tax-deductible for the business. In the event of a claim, the proceeds are assessable either to the business or the business owner. One of the most valuable assets in any business is the people. The loss of a key person can affect profitability, operational management and goodwill. Key person insurance protects a business in the event of the loss of a person who makes a significant contribution towards the profitability or stability of the business. It provides a cash injection into the business to offset the estimated loss caused by the death, disablement or illness of a key person. For example, it may provide the business with a lump sum that could be used to hire a temporary replacement, cover the cost of training a new staff member or just compensate the business for any reduction of profit. Key person insurance may be used for a revenue purpose (to replace lost income) or a capital purpose (such as repaying creditors). The deductibility of premiums and the taxation of proceeds depend on whether the insurance is to be used for revenue or capital purpose. Debt protection can provide a business with the ability to satisfy creditors and maintain credit status in the event that a business owner dies or is unable to work due to disablement or trauma. The insurance cover provides the business with a lump sum which can be used to repay or reduce business debts. Repaying debts helps to free up cash flow and can provide customers and suppliers with confidence that the business will continue to trade. Debt protection cover is generally regarded as capital in nature. Insurance proceeds are generally not subject to income tax however capital gains tax may apply. David and Alberto ran a chain of butcher shops. They employed 24 full-time staff. The business was in its 10th year of operation and both partners were beginning to see the fruits of their labour. The business was highly successful and in a profitable position. Just when everything was going perfectly, tragedy struck. David, after complaining of back pain, finally decided to visit his GP. After some tests, David was sent to a specialist and diagnosed with cancer. David immediately stopped working to undergo treatment. Unfortunately after three months, the treatment was unsuccessful. The diagnosis was just too late. David left all of his assets to his wife Lisa. This included his interest in the butcher business. Lisa had never been involved with the business and now wasn’t the time to start. Lisa was very conscious of the fact that David and Alberto were not just business partners but good friends. However, Lisa needed to convert her half ownership into usable funds. Lisa had relied on David’s wage. She needed money to support herself and her three children. David and Alberto – with their Elders Financial Planner – could have prepared a Business Succession plan to deal with how the business would manage a principal dying, becoming disabled, or retiring. Lisa could have then expected Alberto to purchase her share of the business for an agreed predetermined price. Alberto could have required Lisa to sell her share of the business to him for the predetermined price. Talk to a consultant to help you form a business risk insurance plan.